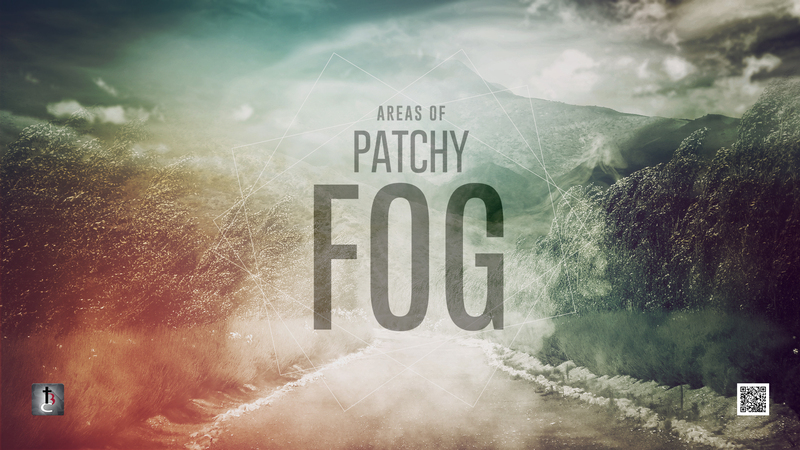 We have been on a sermon series called Areas of Patchy Fog and looking at how fog affects our lives and the areas that can become a little patchy. When we run into fog, it causes us to lose visibility and to react differently than we normally would. Today we look at the last message in our series and talk about Breaking Through The Fog. How do we break through the fog that can develop in our lives and get the healing that we need? In 2 Kings 5, a military leader named Naaman has acquired leprosy and is in need of healing. The prophet Elisha tells him to dip in the Jordan River 7 times and he will be restored and made clean. As we look at the scriptures leading us to Naaman dipping 7 times, we see what first steps are needed in our lives to get our breakthrough and what the 7 areas of Naaman’s life needed to be cleansed before he got his complete healing. First, he had to humble himself and acknowledge that he had a problem that he could not solve himself. Naaman was the commander of the Syrian army and was identified as being great, honorable and a mighty man of valor. No one other than the king had more power than Naaman and he was a man that took control and solved problems with military force. Now he had to humble himself and seek help from another source. This is the first step in getting a breakthrough in our lives. Second, he had to accept good advice from a Godly person. Naaman had not been able to get healing from his resources, but a Godly young servant girl from Israel knew exactly what he needed to do. Many times we need to seek Godly advice from someone that we can trust to find what we need to do to get our breakthrough. Thirdly, he had to take action and make the necessary changes to get his healing. If Naaman stayed in Syria, he would not have received his breakthrough. We can’t stay in the same state and get our breakthrough, we have to take action in the right direction. Now the question in Naaman’s life is what the 7 dips represented. We know that 7 represents completeness in the Bible. What are the 7 areas of Naaman’s life that needed to be cleaned to get his breakthrough? Pride. V.1. Naaman had to be cleansed of his pride to get his breakthrough. He was a man of great power and honor and now he had to put that pride aside to be his breakthrough. Is pride holding you back? Materialism. V.5. Naaman took silver and gold with him for his healing. Many times we think that possessions are our answer in life, but in reality, possessions can be our hold back. Are possessions holding you back? Anger. V.11. Naaman became angry when he was not received by Elisha as being a man of honor. Anger caused Naaman to initially leave. Anger can cause us to miss our breakthrough. Is anger holding you back? Disappointment. V.11. Naaman had expectations of what would happen and it didn’t happen that way, leaving him full of disappointment. Disappointments can cause us to give up too soon on our breakthroughs. Is disappointment holding you back? Arrogance. V.12. Naaman felt like they had better rivers in Syria, so why would he dip in the dirty Jordan river. He was better than this. Feeling like we deserve better can cause us to miss our breakthrough. Is arrogance holding you back? Stubbornness. V.13. Naaman had to be convinced by someone else to just do what was asked of him. If not for his servants, Naaman’s stubbornness would have caused him to remain a leper. Stubbornness is one of the greatest barriers to a breakthrough. Is stubbornness holding you back? Doubt/Fear. V.13. Naaman had his doubts, but he did what was asked. Doubt and fear is the greatest barrier to Christian life. Is doubt holding you back? Are you ready to take the steps to get your breakthrough today? Next StoryWho Is Jesus To You?